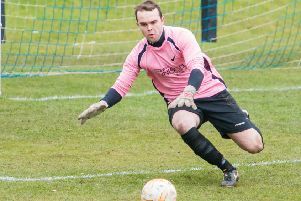 Meadowbank boosted their Championship promotion hopes with an 8-1 dismantling of fellow title chasers Murieston United, with two players netting a hat-trick. The league leaders look nailed on for a spot in next season’s Premier Division given they are currently eight points clear of second place Pencaitland with seven league matches remaining. Ross Stenhouse and Paul Martin each scored a treble as the hosts romped into a 4-0 half-time lead after dominating a one-sided opening period. Ross Grant and David Gallacher also hit the back of the net, with Meadowbank 7-0 up in the second half, before the visitors netted a consolation. 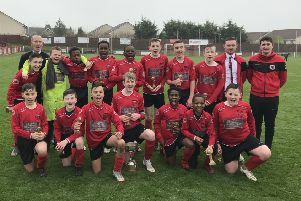 Elsewhere on Saturday, Cavalry Park and Ormiston Amateurs booked their spot in the final of the Dunedin Cup with 2-0 victories over Ratho Athletic and Dunbar Athletic. On to Sunday and Wallyford Bluebell beat Edinburgh South 4-2 to go through to the final of the Association Cup, where they will face Royal Penicuik next month. Despite starting the better of the two sides, it was the visitors South who opened the scoring when Daniel Kitson netted from the penalty spot when he sent Wallyford’s goalkeeper the wrong way. Wallyford drew level after finally breaking through a well-organised rearguard when Jordon Burrows fired into bottom corner from the edge of the area. The home side would then take the lead for the first time ahead of the break after Murray Christie was fouled inside the area when he went up for a header, with Burrow’s netting the spot-kick for his second of the day, despite South’s keeper getting a strong hand to his effort. Wallyford looked hungry after the interval and made it three within minutes of the second half - Burrows playing the ball through for Christie who lobbed the keeper. Bluebell were now well in control and they effectively secured their spot in the final when Christie found the top corner, although South would net a consolation but a comeback didn’t materialise.